I am wide-awake in a dark hospital room. I survived a gruesome hiking accident that left me bloody and alone in the bottom of a ravine, but I’ve been told that I’ll have reconstructive jaw surgery the next day. My family and Franciscan sisters have gone home to sleep for the rest of the night. I am alone, except for the woman snoring behind the nearby curtain and the nurses who seem to materialize at my bedside to check my vitals. Pain is pressing on my body. When I landed at the bottom of the cliff, my face shattered from eyebrows to chin. My hand and arm were crushed under my forehead, because I’d reflexively raised them to protect my skull as I slipped. Now my limbs are screaming reminders of what happened. I am bruised and bloody. I feel as if all the pieces of my bones would float away and disintegrate if it weren’t for the swollen flesh holding me together. I want to scream, to groan about how my life has suddenly flipped on its side. I can’t sleep. I can’t relax. I don’t know how I’m going to make it through this dark, lonely night. But somehow, my mind and heart turn from agony to appreciation; it’s the only choice I seem to have. I begin to pray: Thank you, God, for saving my life. Thank you for the excellent medical care. Thank for each person who has helped me. Thank you, thank you, thank you. This is the beginning of my latest column for “National Catholic Reporter’s” “Global Sisters Report.” Read more of “Groaning and gratitude” here. Thanksgiving for Messy Jesus Business’ 5th Birthday! It is amazing to me that it is nearly Messy Jesus Business‘ 5th Birthday! Thanks be to God that I listened to the encouragement of my community and friends to start a blog about living the Gospel and we’re still going strong. I am in awe, really, upon reflection on all the waves that MJB has had in the world, as there are many indications that this blog is having a positive impact. Since November 29, 2010, over 70,000 visitors have visited MJB. We have been mentioned in several publications, including on The Good Word at America, on Patheos, on Top Catholic Blogs, and in Our Sunday Visitor and in other blogs, such as There Will be Bread by Fran Rossi Szpylczyn. 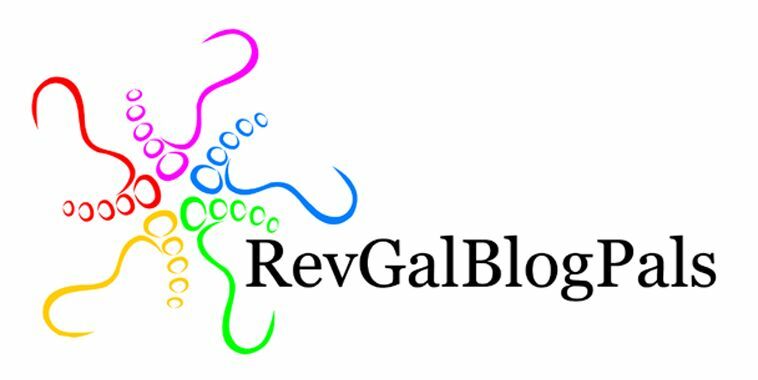 Thanks be to God for the blessed community of Rabble Rousers who have indeed helped keep this blog going. I was very reluctant to begin blogging since I know I live a very busy life and usually have a bit too much on my plate, so to speak. But, with the collaboration of my awesome messy, Gospel-centered friends, we have been able to explore together some deeply important aspects of being the Church we hope for. Being a part of the Messy Jesus Business community has helped me to not miss the trees for the forest, so to speak. In the midst of what sometimes feels like a large, confusing, abstract struggle for peace and justice, Sister Julia and the other bloggers remind me to slow down and focus on small moments and little victories—to celebrate where we are and where we’ve been even though a long journey still lies before us. I love that this is a safe place for us to get messy. I think my thoughts are freakishly weird, and my spirituality is even more so. Sometimes I hesitate to share, but maybe someone else gets it, too. And that’s the beauty of this experience for which I am grateful. Because having Jesus at the center of my love and commitment has always been messy, I treasure the freedom in MJB to connect my faith to real life. Where else can I talk about fears about celibacy, accepting my brokenness, exhaustion, Pope Francis, TV crime dramas, child slavery, final vows, violence against women, The Bachelorette and yard maintenance? Because it is always in these details of life that I find my Jesus. As a parent to small children, my daily discipleship is truly messy –both literally and spiritually! I am deeply grateful to this blog for giving me a community with whom I can share, ponder, and grow in our collective messiness as followers of Christ. I am very thankful for how this ministry of writing and witness has transformed my life. I am extremely appreciative for all the voices that have contributed to our communal contemplation about how messy discipleship truly is. Thank you writers, thanks to Jen and Jane for their help with editing and format, thank you to everyone who has commented and shared the posts, and thanks to all of you for subscribing. I rejoice over how this messy little corner on the internet has helped contribute to the building of God’s reign of peace and justice; I am so grateful that the Spirit is at work here! Thank your for your participation! Thank you for reading! Happy Thanksgiving! And, Happy 5th Birthday to Messy Jesus Business!!! I am grateful. It’s thanksgiving weekend, and I am blessed. These days, gratitude and thanksgiving are in season. After a harvest and a celebratory feast it’s easy to cozy up to a sacred sensation of appreciation. It’s good and important, and I could become very long-winded about how grateful I am. The truth is, though, I am not purely grateful. A few other feelings are mixed into this heart of mine that makes this season a little more complicated. Yesterday at my family’s Thanksgiving meal there were several conversations about the dangers of consumerism and the goodness of simplicity. My heart was filled with thanks for the fact that these are the values that have been instilled in me. Simplicity and thriftiness shall help us survive, I’ve learned. Consumerism creates more problems than solutions. Happiness has nothing to do with the stuff you have. Instead, joy comes from a relationship grounded in God. Jesus seemed to say so himself: It’s not the stuff of shopping that matters, but the stuff of heaven. The danger and the challenge, however, is that it’s a heaven thing to have a pure heart. Pure hearts are nonjudgmental and free of pride and self-righteousness. It’s easy to become self-satisfied when I hear murmurings with negative tones about shopping crusades and I agree. The truth is, I know many people whose joy on this day are the deals that they discovered on their shopping frenzies. For many, it seems that the hype, lines, crowds and stampedes of this day are fun and exciting like sports events. It’s hard to appreciate all this, instead I become grateful for Buy Nothing Day campaigns. I can become angry about how people choose insanity. When anger enters in, though, love seems to leave. In my classroom there is a sign: “If you must have an attitude, have an attitude of gratitude.” In reality, gratitude is tough. The problems of the world glare at me, and it becomes hard to have a grateful heart. When I notice people doing things wrong, I can quickly become judgmental, crabby, and angry. When consumerism and materialism seem to be creating spiritual and social disasters, I have trouble appreciating any type of craze that supports it. When oppression corrodes at the dignity of those whom I love, my heart rarely has room left for gratitude. A wise sister in my community has told me that when there is a temptation to be judgmental, gratitude is the quickest remedy. Once gratitude enters in, she says, all else has to go out. Once gratitude enters in, I’ll have no choice but to know love. That love can’t be bought or sold. I’ll have to give it away, and with that it’s the gift that just keeps giving.